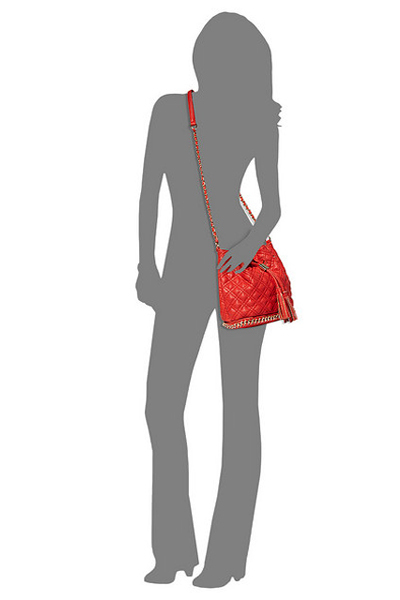 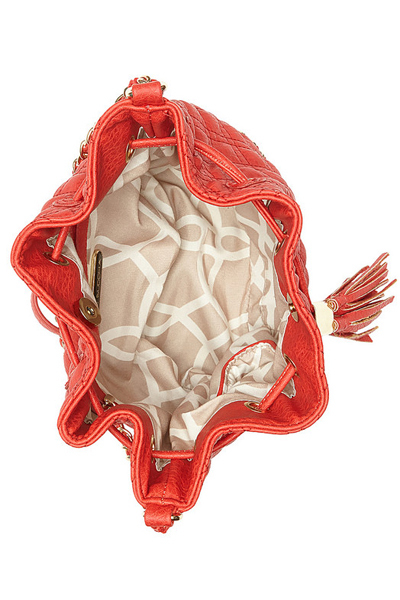 This Big Buddha Hankie coral crossbody synthetic bag is super cute and chic! 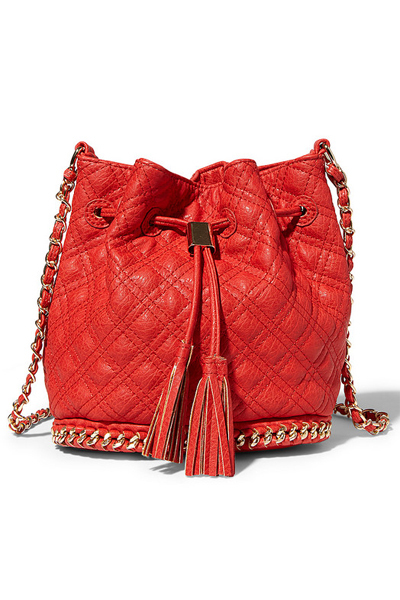 Quilted, drawstring bag with tassel. 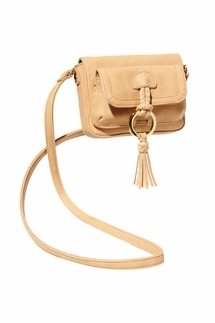 Gold chain detailing on cross body chain and bottom of the bag. 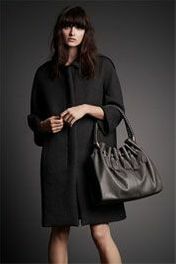 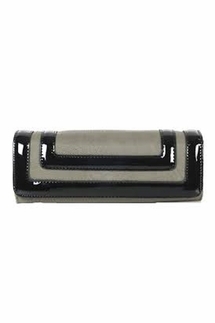 Magnetic snap closure, interior lining with one interior zipper pocket and two slip pockets. 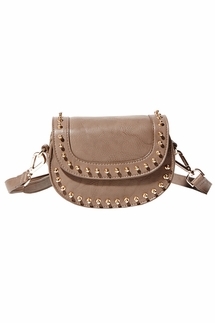 *Bag: 8" x 9" x 5"